Many professionals are not familiar with the fact that more than 65% jobs of analysts are not given as per the education. The personal skills, prior experience and other related factors make it possible to select candidates for Junior Analyst’s post. The degree in bachelors is considered as sufficient to get this job. However, candidates don’t get entry level jobs if they’ve not done any internships before. Your profile picture and headline are two of the most important and most viewed elements of your profile. Having a profile picture makes your profile more likely to be viewed by recruiters and future employers. Instead of ‘unemployed’, use your headline to give a quick summary of your background and the type of position you are seeking. 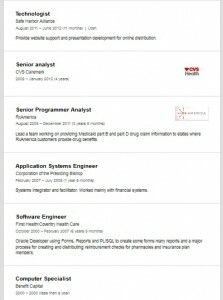 One example of this could include ‘Experienced Analyst and Software Engineer Seeking Position’. Adding a summary section to your profile would allow you to give an overview of your experience and explain more about types of positions that interest you. You could also attach your resume to this section to provide your full background to interested future employers. Consider removing the sentence before ‘because of my broad background’ in your ‘Advice for Contacting Jim’ section. This section should maintain the same professionalism displayed in the other parts of your profile. 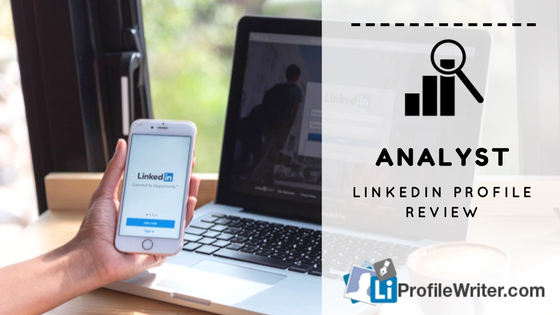 You might be also interested in our production expediter Linkedin profile review. 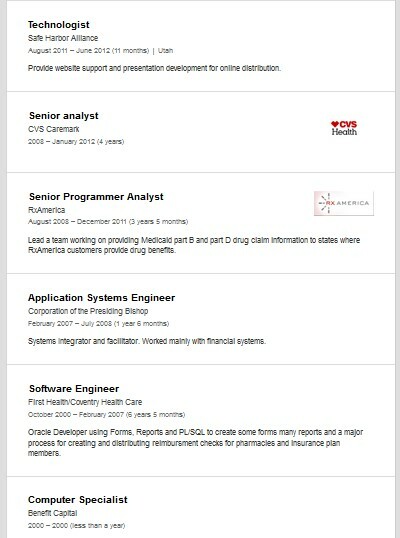 If you have served many years as a Senior Analyst, Programming Analyst or other related jobs, you would still have to use a personal photo on the profile. Add as many people as you can from a friend, family to new/former co-workers. This is how you can be able to get more opportunities for securing best jobs. Never share anything about prior, current and desired salary/remuneration. This neither sounds professional nor help to give you ideal job. No grammatical errors are allowed if you’re serious about creating the LinkedIn profile. The spelling mistakes are sufficient to let any reader switch to other’s profile from your page without thinking for a second. The work experiences that you shared to appeal employers can’t actually grab their eyeballs. Try to share your work published online. Are you able to speak more than two languages? Then, why don’t you share it with other on LinkedIn? Update the skills to manage endorsements in a better way. Write everything personally or get some assistance if there are language issues. But everything should sound real and true. Never forget to update the status. This shows that you’re highly active on this platform. The job of analyzing operations in a workplace requires a lot of attention. You can’t be able to get a job of Analyst without proving to have all the discussed skills on a resume. The presentation development, website support and other related duties that you’ve performed need to be discussed in detail. Apart from anything else, it is suggested to share minimum 3 skills, two past positions, up-to-date current position and location with industry. You are not a professional employee if reviewing and updating your LinkedIn profile are not in the priority list. These are some steps to make your profile better than before. The profile box of LinkedIn should never leave empty. Making a good impression is actually possible by doing this. Check that either you’ve shared link of your profiles on other social networking platforms or not. Try to share links of your Facebook, twitter and other profiles. Read the added information from start to the end. Also, delete the unnecessary connections and join relevant groups. All of these suggestions are important to be followed for sure.